Filtration plays a significant role in the laboratory and in many industrial processes. Among other things, filter papers and filter cartons are used in manufacturing and testing processes. The highest quality is therefore especially important. 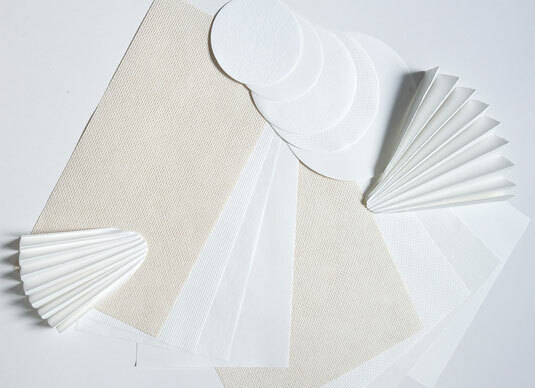 Hoffsümmer manufactures highly pure filter papers with high permeability and good absorbency – according to the special needs of the customers. 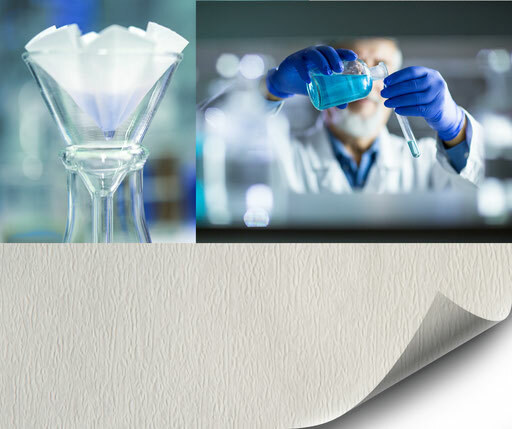 We develop papers with different pore sizes for different uses. The implementation of filter paper as crepe paper expands its application possibilities due to the larger surface area. This is especially true for applications that place special demands on the resilience and elasticity of the paper. Hoffsümmer has many years of experience in selecting the right components, which ensures a high level of safety and reliability in production. The grammage range is between 40 and 700 gr/m² and the filter papers are up to 270cm wide. Our customers include laboratories and industrial companies. We offer a wide variety of filtration parameters. Both smooth and creped qualities are available. ash content of less than 0.2%. industrial paper for customers from various fields. Our qualities can be used in various industrial areas. of our customer, for example with a high wet strength and purity.